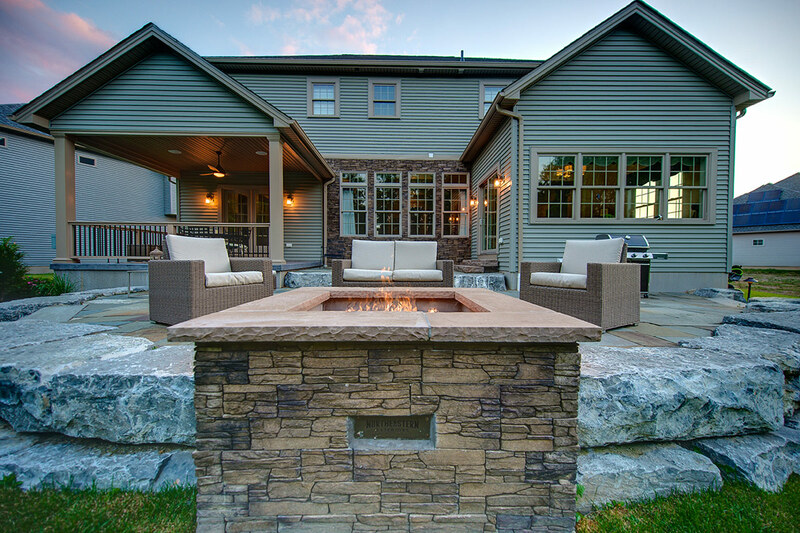 This outdoor living space was designed seamlessly into this eco-friendly new build home. 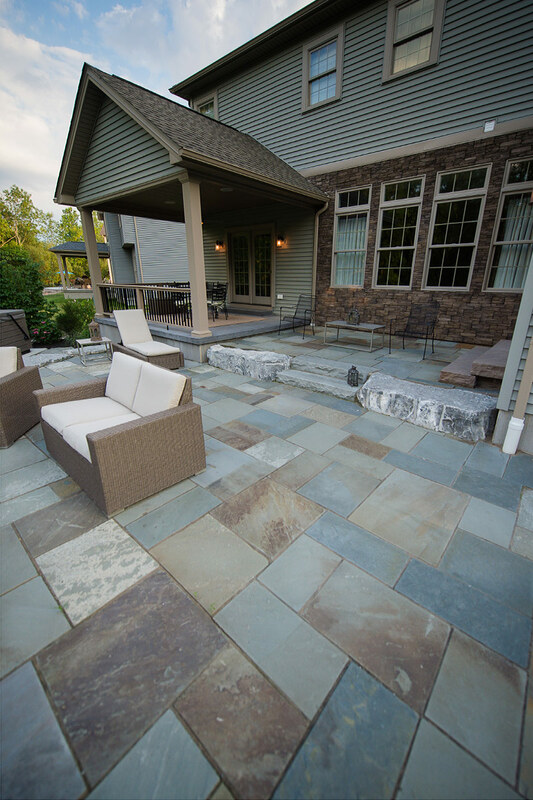 Multi-level natural stone patios feature giant reclaimed dolomite boulder retaining walls with full-color, random pattern stone terraced patios to accommodate the slope of the yard. 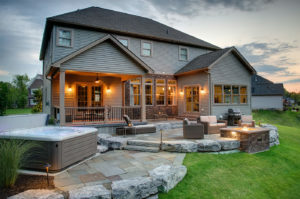 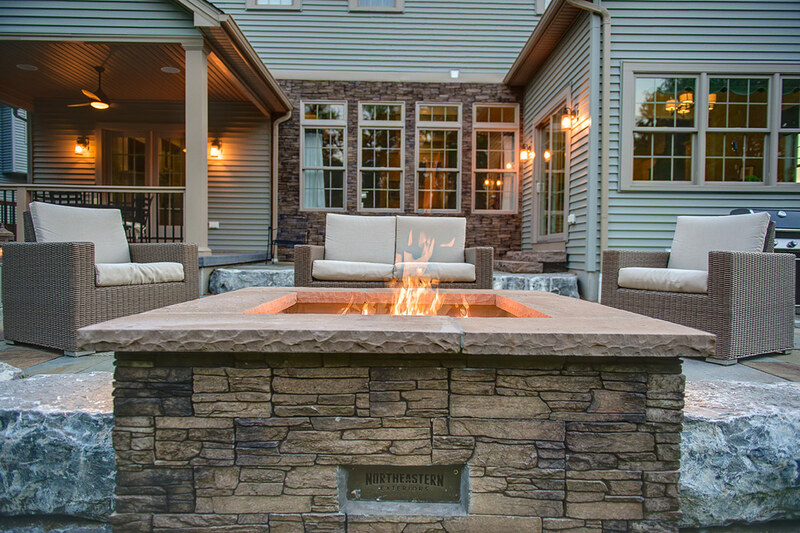 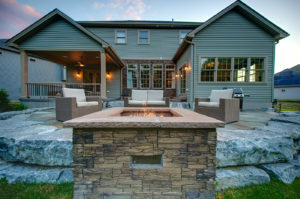 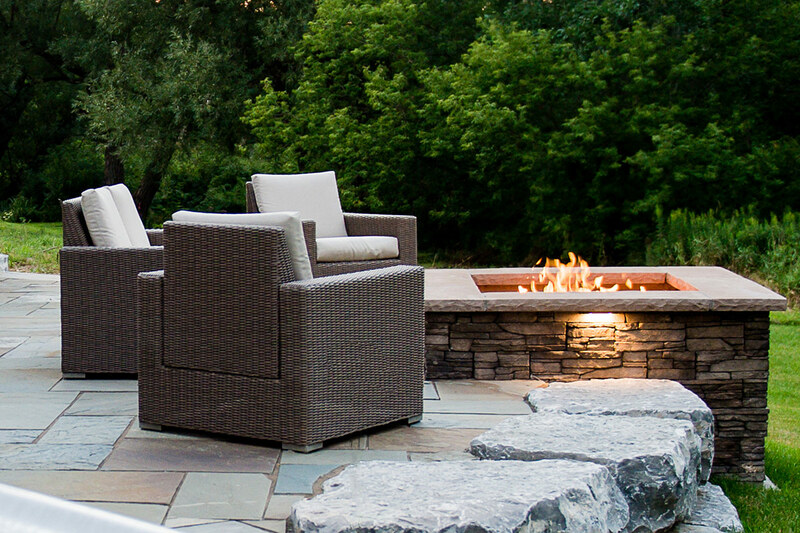 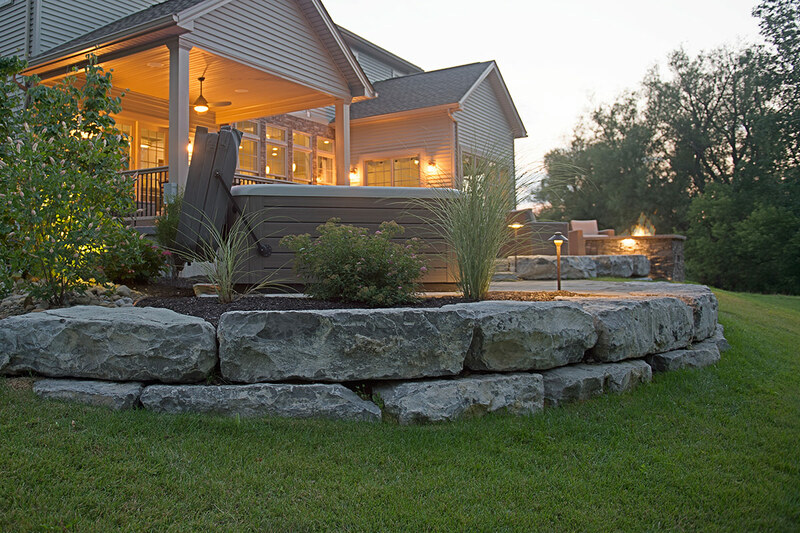 A centrally located, custom built-in natural gas fire pit, paired with low voltage lighting and the ambient light from the hot tub creates an inviting atmosphere for all seasons.